Looking to take a trip deep into Japan’s heart of darkness? To walk through damp alleyways, take a nighttime stroll by the river, cram into crowded subway cars, or drink in dimly lit, seedy bars? Welcome to the world of Fuminori Nakamura, one of the most commanding and provocative voices in modern crime fiction. Nakamura rewards his readers by delivering them into a world that is intelligent and profound, as illuminating as it is bleak. Philosophic impulses abound in Nakamura's narratives. Overtones of Albert Camus and Jean-Paul Sartre, as well as Fyodor Dostoevsky and Knut Hamsun, blend seamlessly with David Goodis, Jim Thompson, and Dashiell Hammett (particularly the existential Flitcraft parable from The Maltese Falcon). He is indebted equally to nihilism and noir. These influences combine to form a prism through which Nakamura views humanity. He exposes life's most disturbing and troubling experiences to show that, despite it all, light still may come at the end of the tunnel. His characters suffer, experience love; they lust for life, which makes their journeys worthwhile. Nakamura is remarkably prolific, with fifteen novels in print since his debut in 2003. Seven of them are available in English language translations: The Gun, The Boy in the Earth, The Thief, Evil and the Mask, The Kingdom, Last Winter We Parted, and Cult X. Despite being written as stand-alone works, his books are so unified in voice, character, and philosophy, that they have the stylistic cohesion of a series. Cult X, Fuminori Nakamura’s most recent novel, is his magnum opus. Inspired by the 1995 gas attack on the Tokyo Subway system, it is a multi-layered descent into collective madness and metaphysical inquiry. What begins as a simple investigation into the whereabouts of Toru Narazaki's missing girlfriend, soon turns into something far more complex and sinister than he could have imagined. A private detective’s clues lead him to a cult where she vanished. Upon arrival, Narazaki learns his girlfriend has defected to an offshoot group of radical believers. When Narazaki follows her there, he is seduced and brainwashed into becoming a spy, caught in a web of deception, violence, and an inter-cult war. One of Nakamura’s trademarks is his fearless empathy for his characters, unafraid to explore the darkest, most complex recesses of their minds. With Melvillian panache, Nakamura weaves Toru Narazaki’s narrative with detailed transcriptions of several cult leaders’ lectures, diaries, DVDs, and discussions. (Nakamura also used this technique in his previous novel, Last Winter We Parted, in which a writer’s investigation into a photographer accused of two murders is interspersed with documents such as letters and even a Twitter feed.) Narazaki goes so deep into the cult that it becomes hard to imagine an outside world. This insular feeling, a sort of narrative claustrophobia, is a hallmark of Nakamura’s work: the ability to render a psychological perspective with conviction and totality. The discussions in Cult X range from the beginnings of the universe to the teachings of Buddha, and from single-cell paramecia to post-World War II Japan. Nakamura uses these topics to explore another important theme that permeates his work: the use of stories to make sense of the chaos of our own lives. “Because atoms are full of the potential to produce life, they are also full of the potential to produce stories,” explains cult leader Matsu. Whereas Cult X shows Nakamura working on his grandest scale yet, his earlier books are slim, tight-knit, with concentrated scopes that reflect the vintage pulp thrillers that inspired him. These previous works explored the conflict between free will and determinism, the same themes that drive Cult X. In The Gun, his first published novel, a college student on a late-night walk comes across a dead body and takes possession of the pistol lying by its side. The gun provides newfound meaning to the boy’s life, but the impulse to pull the trigger makes him question whether he or the gun is in control of his fate. 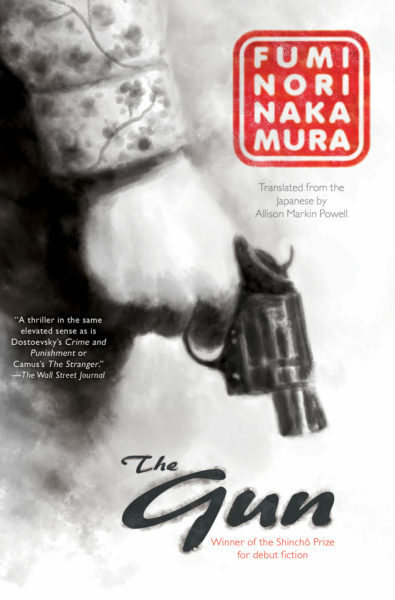 A popular entry point into Nakamura's work is The Thief, the first of his books issued in English. The Thief tells the story of a pickpocket in Shinjuku, the most popular of Tokyo’s twenty-three wards. The city’s major commercial hub, it is also home of the busiest subway station which serves over two million riders daily—in other words, the perfect hunting ground for a pickpocket, and an even more ideal place for someone looking to get lost and escape their past. The nameless, titular narrator is doing just that, lying low after a botched robbery got him in too deep with a crime syndicate. His anonymity is challenged, however, when he comes across a young boy trying to steal groceries for his mother. The narrator must choose between mentoring the boy so he doesn’t get caught and steering him clear of the same path he has taken in his own life. Again, Nakamura’s characters question how much of their fate they control, and how much influence they have on others. 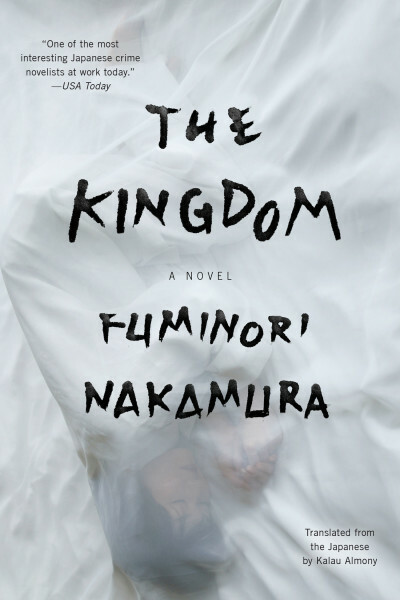 The Kingdom is Nakamura’s conceptual companion to The Thief. “Not a sequel but a sister novel,” explains Nakamura in the novel’s afterword. “Two novels where you could read either one first, or even just one on its own.” Much like the protagonist in The Thief, The Kingdom’s main character, Yurika, tries to escape her life through an anonymous, disconnected existence as a blackmailer in Tokyo. Impersonating a prostitute, she drugs her victims and takes compromising photographs and hands them off to a criminal syndicate. When a chance event compromises her double-life, Yurika becomes a loose thread in the deadly world of organized crime. Yurika is the archetypical Nakamura protagonist: someone who pursues crime not out of malice, but as a method of self-discovery. Much like the followers in Cult X or the pickpocket in The Thief, Yurika is on an existential search for her own identity. “I was too tired,” Yurika muses. “I was tired of the pain and pleasure of losing myself in someone else, thinking that I could change my partner, and I was tired of the guilt of taking on a partner I didn’t actually like that much.” The process through which Nakamura’s protagonists realize their true selves and begin to experience and embrace life is a dark and heroic journey. Arguably the darkest journey in Nakamura’s world is in Evil and the Mask, which begins with an eleven-year-old Fumihiro Kuki being called into his father’s den and told, “I intend to leave a ‘cancer’ in this world. Under my guidance, you will become a cancer. 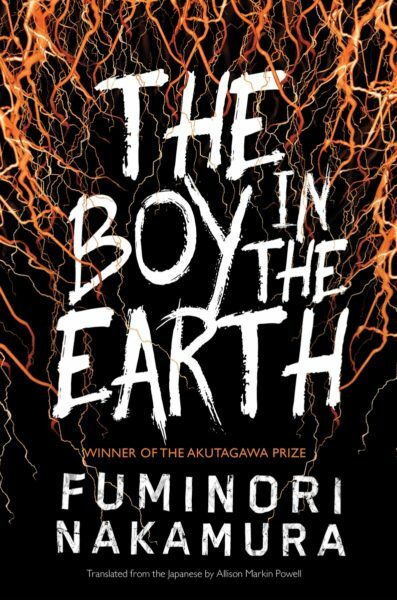 A personification of evil, you could say.” Fumihiro learns that he is part of a long lineage of other “cancers”— a multi-generational cult of boys brought up to believe their lot in life is to hurt others. His attraction to his adopted sister, Kaori, sets him down a path that, in order to protect her, he might have to reluctantly fulfill his own dark destiny. It is this overpowering sense of empathy that galvanizes Nakamura’s work and gives humanity to some of the most desolate lives in the history of noir literature. A young man finds a pistol; a taxi driver copes with his traumatic upbringing; a pickpocket mentors a child; a boy tries to understand a family legacy; a blackmailer escapes her memories; a writer interviews a murder suspect; a young man looks for a missing girlfriend. Fuminori Nakamura’s protagonists are in search of something, and they tend to find something bigger and more meaningful than the mystery they started out to solve: a way to bring meaning to their lives and the world around them. Fuminori Nakamura was born in 1977 and graduated from Fukushima University in 2000. He won the 2002 Shinchō Literary Prize for New Writers for his first novel, A Gun, the prestigious Noma Literary Prize for Shade in 2004, and the 2005 Akutagawa Prize for The Boy in the Earth. 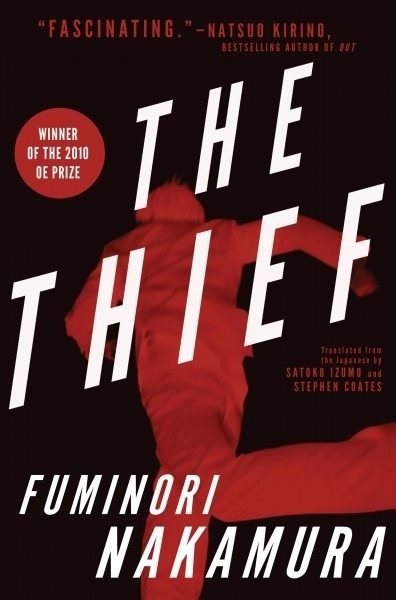 The Thief, his first novel to be translated into English, won the 2010 Oe Prize, Japan’s largest literary award, and was a finalist for the Los Angeles Times Book Prize. He is the recipient of NoirCon’s David L. Goodis Award and currently lives in Tokyo with his wife. NOW AVAILABLE IN STORES EVERYWHERE.